Dog Friendly Hotel Chains To Visit This Summer! A vacation just isn’t a vacation without the whole fam! 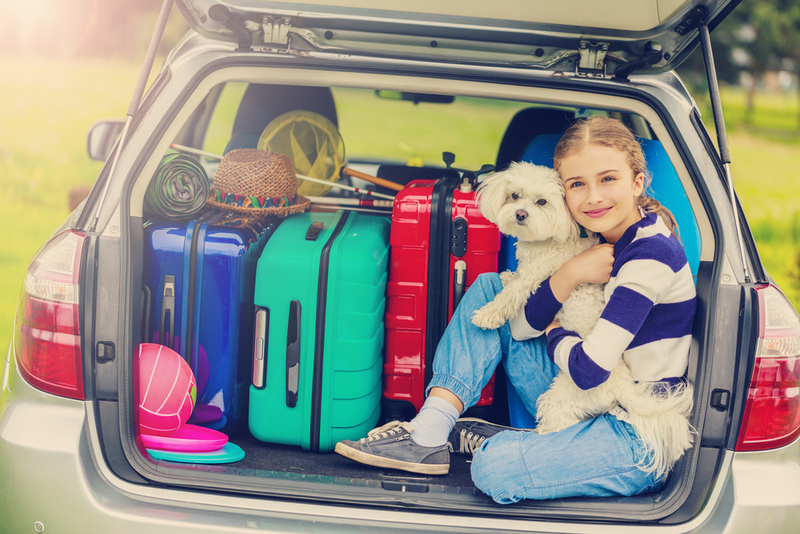 Our four-legged friends are most definitely a part of the family, so why would you leave them behind on your summer vacation? You wouldn’t! Instead of trying to sneak your pup into your hotel room or sleeping in your car, check in at one of these dog friendly hotel chains. Many pet friendly hotels offer luxurious amenities for your pet, but if you don’t want to fork over an extra hundred bucks, then check out the no-fee options listed below! La Quinta has more than 700 pet friendly hotel locations in the US. Even better, there is no deposit or extra fee to bring your pup or cat! Each room is allowed two pets per room at no extra charge. As of today, the four US locations which do not allow pets are: San Antonio Conference/Medical Center; Manhattan and Queens, New York; and Monterey, California. The Kimpton Hotels must have some serious animal-lovers on board because this is the most all-encompassing pet friendly policy we’ve ever seen! The boutique hotel chain makes a brave statement by proclaiming, “If your pet fits through the door, we’ll welcome them in.” That’s right, folks — whether your fur baby is a Bernese Mountain Dog or a Toy Poodle, they’re allowed to room with you at Kimpton at no extra charge! Kimpton Hotels don’t skimp on the canine amenities, either! Pet beds, food, water bowls, mats, a door hanger to alert other guests that you have a dog in your room, and even a Director of Pet Relations who ensures that all furry guests are treated well. They even have nightly wine receptions which are pet-friendly, along with a concierge list of nearby pet-friendly parks, restaurants, or groomers! With more than 345 pet-friendly locations spread over 36 states, Red Roof Inn is a safe bet for a last minute reservation while you’re on the road. They also don’t charge a fee or extra deposit for your furry companions — and that’s our favorite price! This luxurious brand allows small cats and dogs to stay with a guest, but their pampered pup amenities (like a water bowl filled with Evian) may come with an extra fee. They usually offer beds and water bowls, and concierges are in the know about other pet-friendly places to visit! The price for bringing your pooch varies on location. Although Loews charges a one-time service fee of $25 to bring Buddy along, it will be well worth it because of the pet perks! They have a program called Loews Loves Pets, which include amenities for up to two pets per room. Items included are pet mats, food and water bowls, beds, treats, and — for the high-class hounds — a room service menu full of vet and chef created recipes for dogs! This reliable chain has more than 1,600 dog friendly locations. At just $20 per day, plus a possible refundable damage deposit, it’s an affordable option while you’re on a road trip! Policy specifics vary by location, so make sure to call ahead if you’re bringing your pooch. 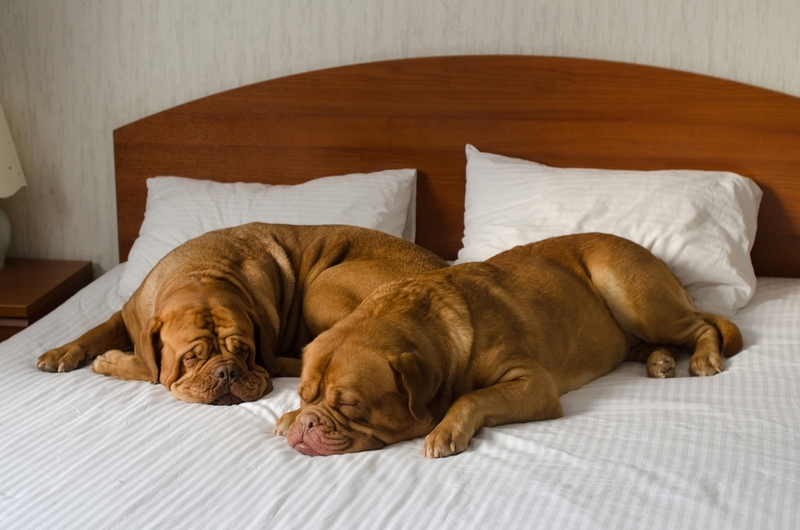 Most pet-friendly hotel locations allow two dogs, up to 80 pounds each, in each room. Best Western even teamed up with dog behaviorist Cesar Millan to create an informative video on their website about traveling with your pup! The Ace Hotel has five dog friendly locations in the US, and they charge $25 per night for a dog under 25 pounds. They don’t specify if you pay another $25 for a larger breed, so make sure to call the location you plan to visit before booking. This dog-friendly hotel is so dedicated to providing animal-lovers with a pleasant stay, that select locations have a Canine Ambassador on-hand to greet guests in the lobby! Their pet policy varies by location, but most Fairmont Hotels and Resorts allow dogs to stay with an added fee, which ranges from $25 to $75 per night. Another high-end hotel with an impressive pet policy! Hotel Indigo has more than 36 US locations, all of which provide your furry pal with a pampered experience from the moment they set a paw through the door! Some locations, such as San Diego Gaslamp, do not charge a fee, but the policy varies by location. The additional fee can range from $25 to $75, but all pups receive welcome treats and doggie beds! As one of the largest hotel chains, Marriott understands that their guests come first. And sometimes, their guests come with a furry guest as well! Dog-friendly Marriott locations are equipped with dog beds, bowls, and nearby pet-friendly attractions. Their pet policy and fees vary by location, but with 1,515 pet-friendly locations worldwide, you have a good chance of finding a dog friendly hotel in Marriott. If you aren’t a fan of hotel chains, check out these destination spots across the country! The oldest resort on the Strip is happy to accommodate your furry pal! You can bring up to two 50 pound dogs on your Vegas vacation, provided that you pay an additional fee of $75 per night. There’s also a $100 refundable deposit in case Fido parties too hard with the water bowl. You get a mat, food and water dishes, and a special pet room service menu at this pet friendly hotel! Bring your pup to this classic, Roman-themed casino and resort! 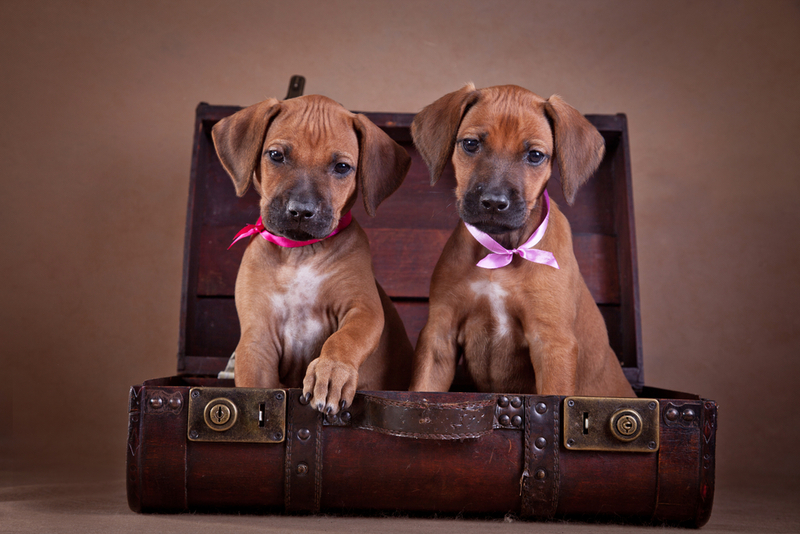 You can bring up to two dogs per room, and they must weigh less than 50 pounds. You can expect to pay a refundable $100 incidental deposit, but you also get a handy “Dog In Room” hanger, a map to all the dog-friendly areas in the resort, and the ability to walk with your dog on-leash through common areas. Located in downtown Portland, OR, this beautiful hotel is perfect for your destination trip to the Northwest! You’ll have to pay a one-time $45 fee, but the perks are well worth the cost. Your pup will have access to some seriously luxe amenities, including treats, a list of pet resources, and pet room service menus. But one perk makes this hotel a step above the rest: it features a pet spiritual menu. Learn about dog massage and pet psychology from the comfort of your hotel room! Renowned as one of the most beautiful hotels in the world, you should go to Hotel Bel-Air if you want to seriously relax in style. The hotel welcomes pets up to 30 pounds for a $200 nonrefundable pet fee, but there are no breed restrictions — and cats and birds are welcome! Have you ever stayed in a dog-friendly hotel that treated your pooch like royalty? Let us know in the comments, and we'll add it to our list!